that less than 6,000 years had passed from the creation of the world to the birth of Jesus. 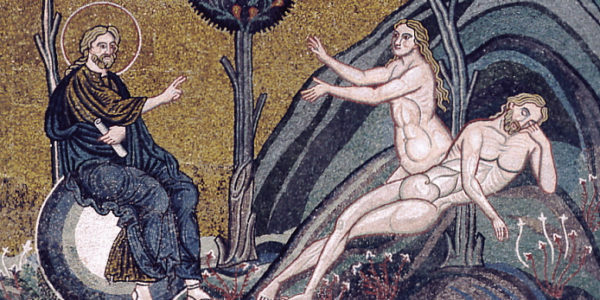 that the Original Sin of Adam shattered the perfect harmony of the first-created world and brought human death, deformity, and disease into the world. In 1909, the PBC’s answers to several questions about Genesis 1-3 established certain truths unequivocally. Its reply to Question I established that the literal historical sense of the first three chapters of Genesis cannot be called into question. Its reply to Question II established that Genesis contains “stories of events which really happened, which correspond with historical reality and objective truth,” not “legends, historical in part and fictitious in part.” In short, the PBC definitively excluded the possibility that even a part of the Genesis 1-3 narrative could be fictitious and non-historical. This statement was all the more remarkable in light of the fact that the Pontifical Academy of Sciences has long refused to give any serious consideration to the scientific evidence against the evolutionary hypothesis, while defending a number of positions on other issues that are highly questionable from a Catholic point of view. (Questionable positions advocated by publications of the PAS include limiting family size to two children; using the so-called “brain death” criterion to determine human death; and using GMO food to combat world hunger.) During the Darwin year, the organizers of a PAS conference on evolution refused to allow scientists to present compelling scientific evidence against the evolutionary hypothesis, even when Ph.D. level Catholic scientists offered to do so at their own expense (Cf. www.sciencevsevolution.org ). 1 Vatican Council I, Dogmatic Constitution concerning the Catholic Faith, Chapter 2 (DS, 1788). 4 Fr. Chad Ripperger, “Conservative vs. Traditional Catholicism,” Spring 2001.